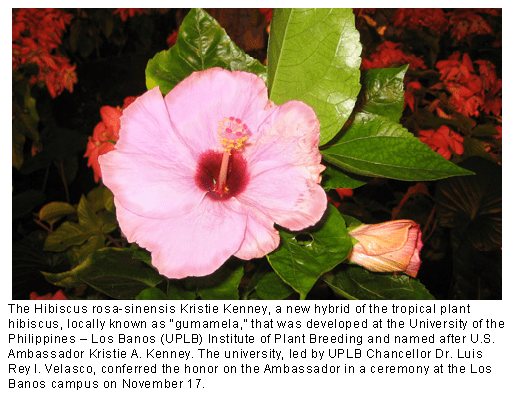 The tropical plant hibiscus rosa-sinensis Kristie Kenney is named after the US Ambassador to the Philippines. I bet her husband, Ambassador Bill Brownfield in Bogota does not have a flower named after him! « Quick, Get the Duct Tape!